Home and yet, still more news to share. We pulled into our driveway at 10:30 last night. It is very nice to be home. We’re both very tired and are looking forward to getting back into the swing of normal life. Our last clinic day, on Saturday, was spent in Somalia. 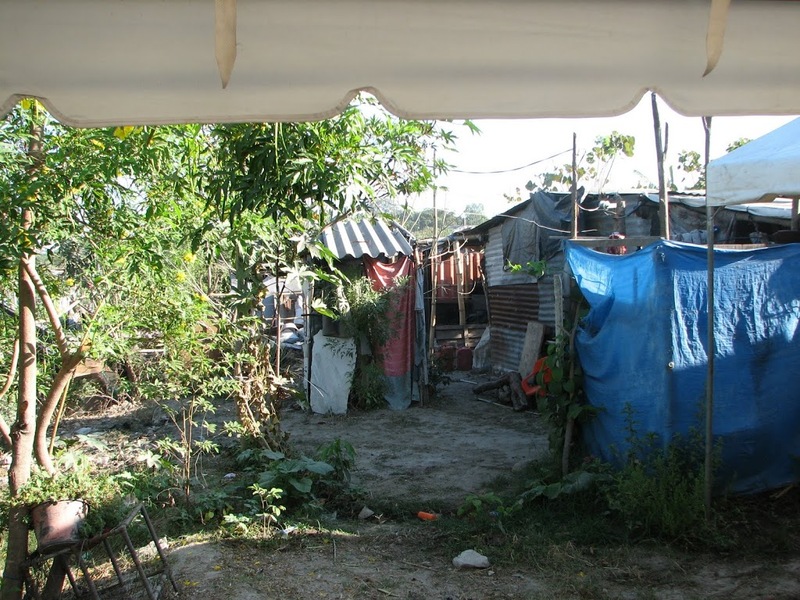 This is a slum right in San Salvador. The story behind this area is a sad one. The people there are squatters. The land is government owned and they just set up their homes there a few years ago. A man, who told them he owned the land, talked them into giving him their savings to buy the plot of land their house stood on. It turned out to be a hoax. He left with all their money. The government has allowed them to stay on the land because they have absolutely nowhere else to go. They have begun to settle a bit more on the land, building more permanent homes of tin and wood, instead of just cardboard and platic. 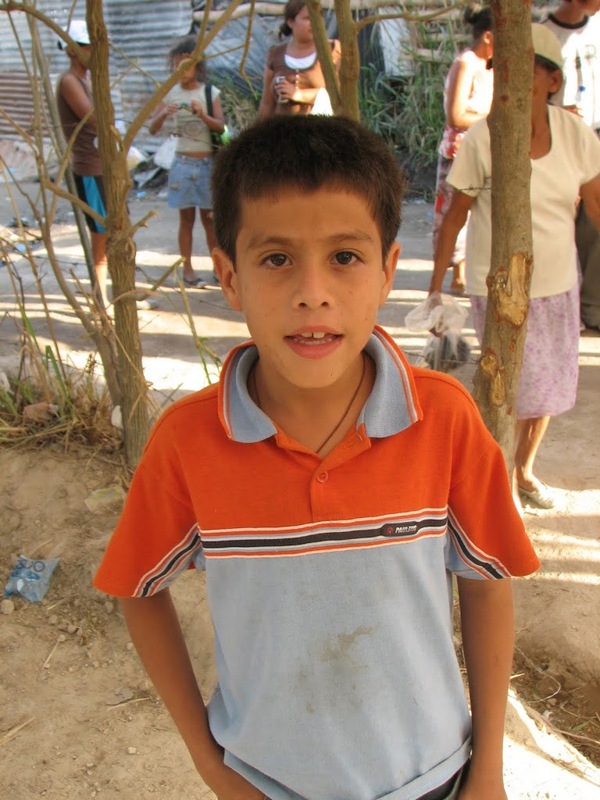 On FTC’s last trip to El Salvador, in April of 2009, they went into this community. This is the first time we’ve visited a place twice. They were so grateful that they presented us with a plaque. I wasn’t able to get good photos of the community, but this one gives you an idea of what it looks like. 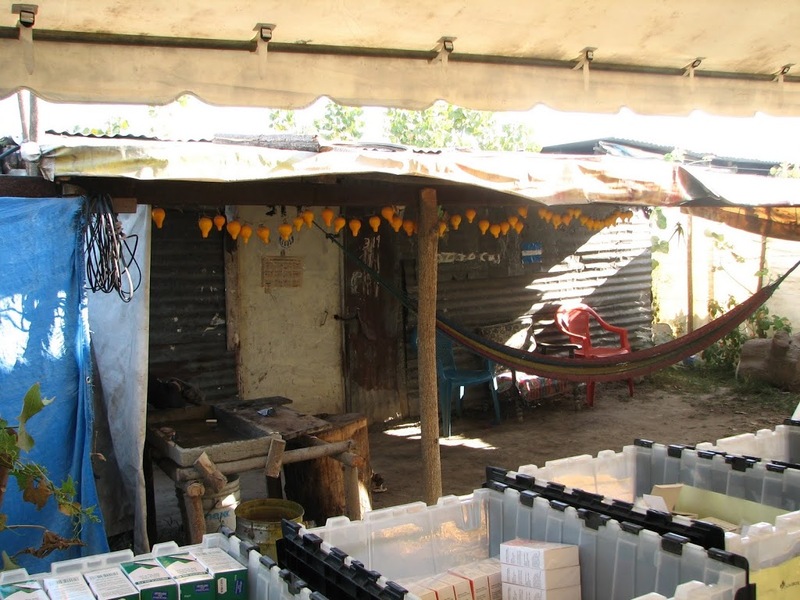 Our clinic was set up under tents we rented, with tables and chairs we brought along with us. The pharmacy was put in a family’s front yard. The day was much hotter than other days and the heat affected me a bit more than I liked. I sat down to count out Albendazole, the anti-parasitic medicine we gave to almost everyone, whenever we needed it. This was a job I did more often. The one time dose was given to families, so I counted out bags of one to ten. On this day, I sat right by the edge of the roadway where people were lined up to see the medics as well as walking by. It didn’t take long for kids to come over and see what I was doing. That was when I really wished I understood Spanish. They talked to me, asked me questions, but I couldn’t understand them. This was one of the little guys who visited me often. Other people would come up to me as well, trying to get meds or other things. Every time we go on one of these trips, my daughter, Arianna, sends along one of her stuffed animals for us to give to one of the kids. This time she chose a little bear two weeks before we left! As the day drew to a close, I started looking for a little girl who would be perfect for Arianna’s gift. This cutie, named Maryory (pronounced Marjory), was standing with her mom and siblings. She looked so sad. 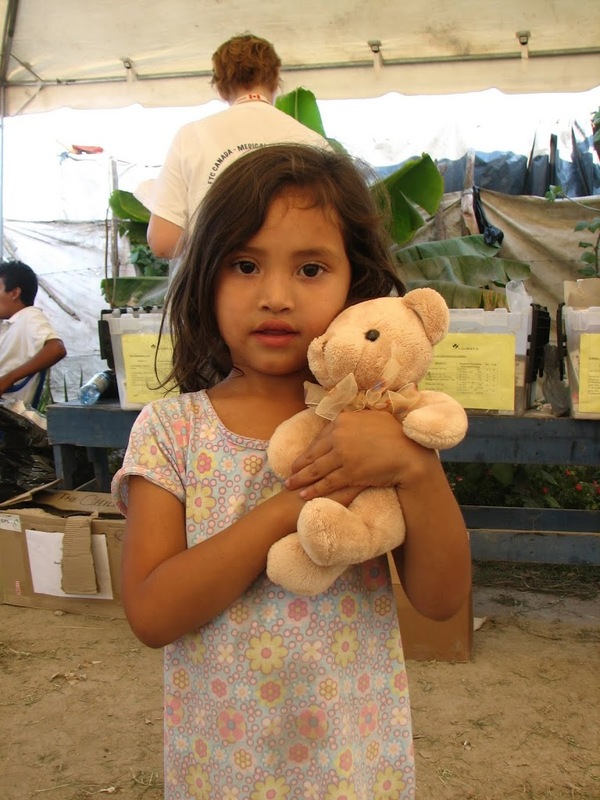 When our interpreter was done giving them their meds, I had her bring her over to the back of the table and when I gave Maryory the bear, she smiled so sweetly and immediately said, “Gracias.” It turned out she is exactly the same age as Arianna. 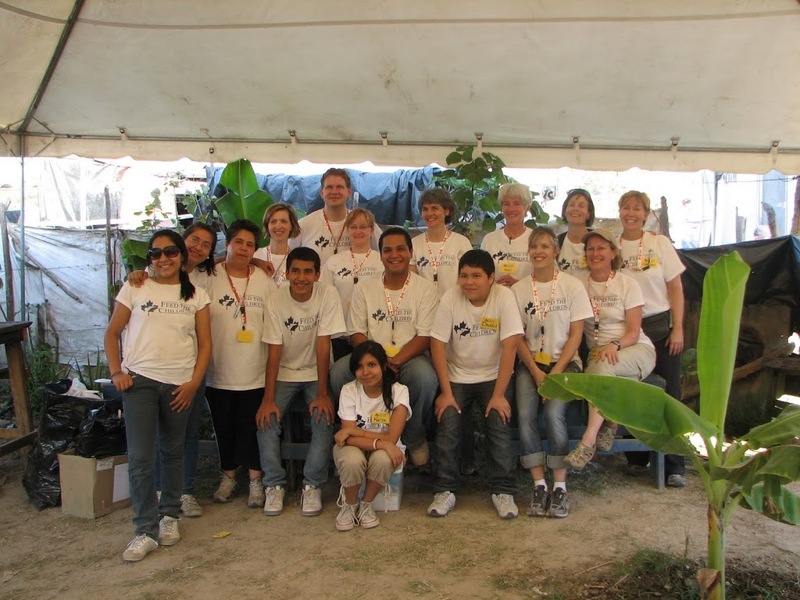 The following picture is of our pharmacy team along with other medics and translators that would come in at different times during the day to help us out. Whenever our line got too long, the medics would stop and allow us to catch up. Today we saw 888 people, so the extra help was necessary a couple of times. At one point there were over 70 people in our line. This group was amazing! The kids in the photo are young teenagers, 14 and 15, who translated for medics, distribution and for us as well. They did so well, worked so hard! We couldn’t have done anything without them. So now our trip is over, and it feels a little strange to be back in our extremely easy life. We are so incredibly blessed. I am so grateful that we live in this wonderful country of Canada. We have more than enough space for our family and the many things we own. We have more than enough food and clothing. We don’t have to worry about floods or rock slides wiping out our homes or lives, at least here in Oshawa. We have access to wonderful health care, even if we don’t have a family doctor. Our water does not make us sick. I could go on and on. It was such a blessing to be a part of this trip, to be able to give hope and smiles to people who had lost so much. Thank you for your prayers and thoughts and support. They kept me going when I felt like I couldn’t, especially with a nasty cold. The next FTC Medical/Dental trip is in the planning stages already. 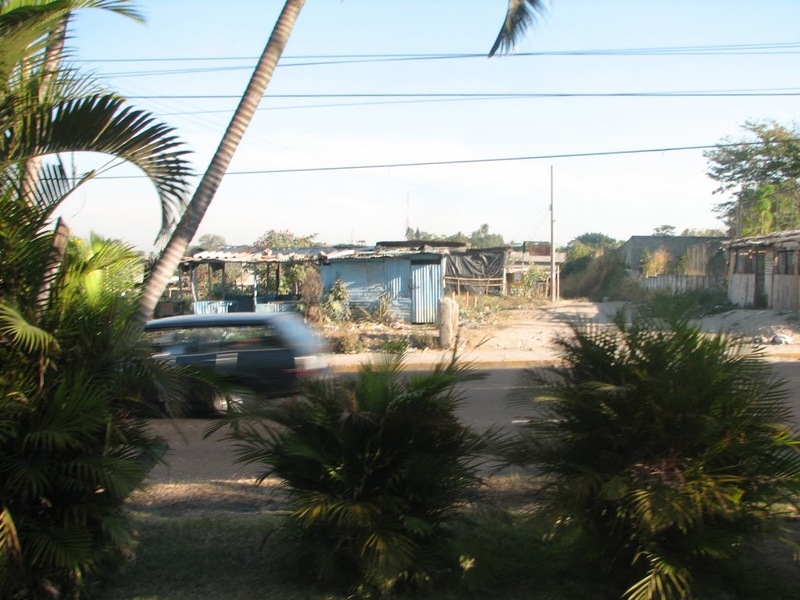 We’re looking toward November and Haiti, which was already in the works before the earthquake hit.